Open 7 days a week. 4 to 10 Sunday - Thursday, 4 to midnight Friday & Saturday. A place that thinks outside the box and defies Northwoods bar traditions. A gastropub (food + drinks) featuring great regional craft beer and craft pizzas. Not a craft beer drinker? We carry Wisconsin distilled spirits (bourbon, brandy, gin, rum, potato vodka and rye whiskey), a few different canned beers, hard ciders, wines, and canned sodas. Special diet? Discuss your needs with the cook. 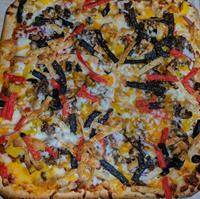 You can order for take-out (715-518-9108 or online via website), but you'll enjoy your food more if you eat in and socialize. Our menu is available on our website. Every Wednesday - Open Mic 6:30 pm. 1st Friday Trivia 9 pm. 2nd Saturday - Karaoke/Sing Along 9 pm. 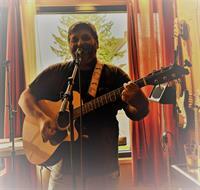 We offer live music as frequently as we can afford, with no cover charge! For the summer, enjoy air conditioning inside or sit on the patio to enjoy the fresh air. A heads up if you're bringing in a group of 8 or more would be appreciated. Tables can be reserved. The Gastropub is brought to you by more than 30 people with local ties who wanted a place where people can socialize over good food and drink. For $1,000 in cash, labor or goods, these people became members of the LLC, with the right to attend monthly meetings where they have a voice in how we operate. Recognizing that we cannot be all things to all people, we have chosen to be unique. Come in and try us out! We are continually changing and improving. Click here to see a video that tells some of our story. West side of Highway 13, 1 block north of the stop light at Highway 182/Highway 13. Parking lot via alley behind the Gastropub plus on-street parking on Division Street.